Preheat grill for 10-15 minutes. Brush a dash of olive oil on each side of the crust. Grill crust 2 – 4 minutes on each side. Remove from grill. Place cooked pork and apple slices directly on grill until tender (about 2 minutes). 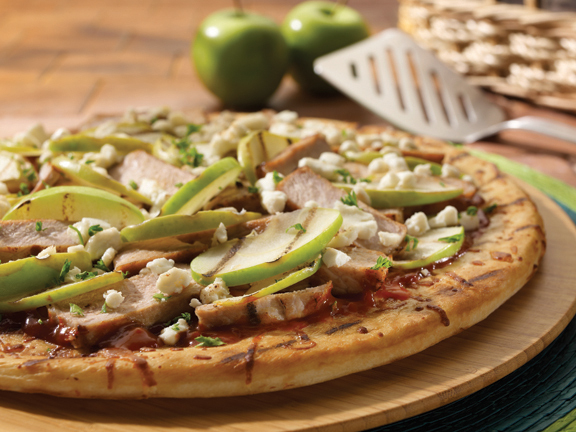 Spread barbecue sauce on the crust then add pork, apples, goat cheese and parsley. Place back on grill for 8 – 10 minutes to heat. Slice and serve.